No more stumbling blocks. Constructing flawless buildings is now easier than ever. Build impeccably. No more hiccups. Effortless success. You want to build impeccably, and minimize cost and time. With Solibri Model Checker, you won’t have to worry about the obstacles along the way. 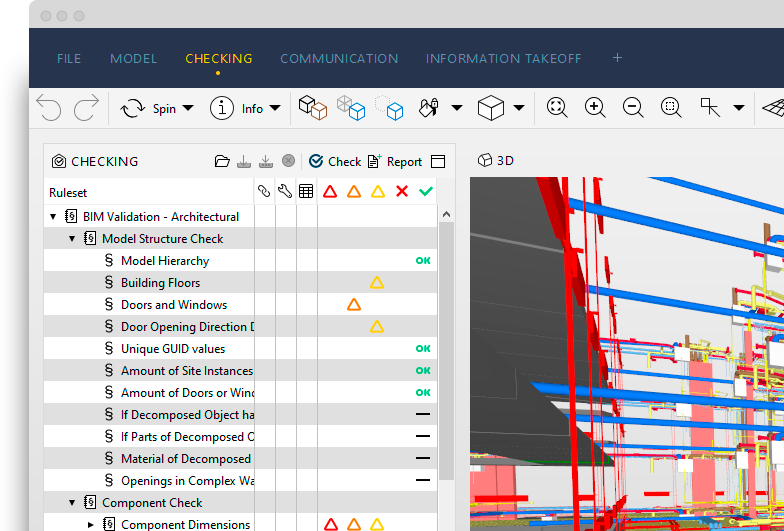 Join the ranks of thousands of BIM professionals who use Solibri every day. "Solibri helps us communicate. We used to talk on the phone and have more meetings. Now we can focus what is or isn’t in the drawings." "I have been in the building industry since 1976, and this is the smoothest project I have ever seen." "We have 20 ongoing projects. All of these projects are different, we need a software to control them."